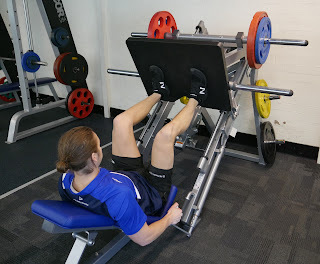 As part of our commitment to providing quality training equipment, our Clayton campus Fitness Centre has recently upgraded their plate loaded leg press machines. We now have two Hammer Strength plate loaded linear Leg Press machines. Hammer Strength is the choice of professional athletes when they train at the highest levels, and it’s relied upon by top sporting clubs and professional training facilities around the world. Hammer Strength equipment isn’t reserved just for elite athletes, as everyday gym goers will also benefit from the excellent bio-mechanical design in the same way the pros do. - More robust / durable design. Please speak to one of our friendly Health and Fitness Instructors when you’re at Clayton next if you’d like to be shown how to get the most out of the new machines!